We are gathering the tribe once more for the last indoor party before summer. Come join the warm-up dance for Waha Festival 2018 with some of our finest artists in Bucharest's best sounding club, Club Guesthouse. We will start the evening with the progressive project of Darkology, Acid Connector, followed by the most active Romanian live act, Atma. 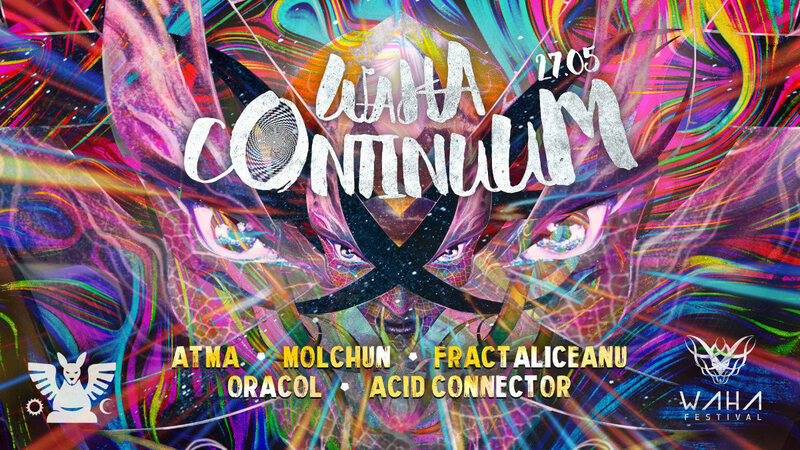 The bpm will slowly rise with Fractaliceanu, the deeper psychedelic side of Latam, preparing the dancefloor for the most awaited forest act from Russia, Molchun, the artist who has recently played his first sets in Europe. The last set will be played by our talented friend and producer Oracol who will properly blast the dancefloor, pushing the limits till the end.